Couple of days ago, we had spoken about how Vidya Balan was thrilled to shoot the NTR biopic at the real life residence of the actor politician Nandamuri Taraka Rama Rao. 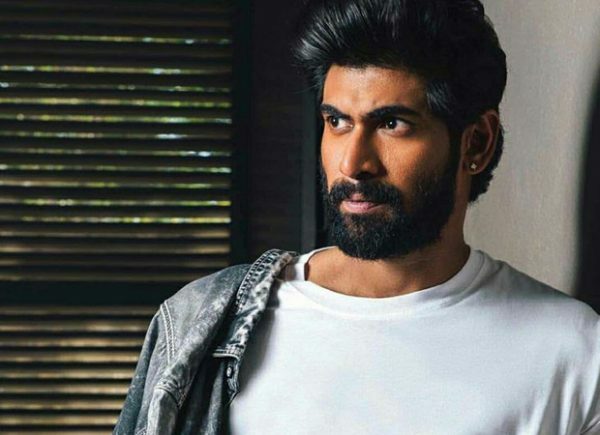 Now it is Rana Daggubati who has expressed his feelings of shooting in such an iconic location. We had earlier reported that he will essay the role of current Andhra Pradesh Chief Minister, Chandrababu Naidu. The 33-year-old actor filmed at the late actor-turned-politician’s residence in Abids, Hyderabad, earlier this week. He went on to add, “It was the same house where NTR lived, the room where he put on his make-up. It’s been left intact, just touched up a bit to show what it looked like back in the day. Recreating his story in his own home was surreal and probably will be my most memorable day in my life in films.” He also revealed that they are the first to shoot in the house where no one else has shot in the past and that it makes them feel even more special. Rana learnt history and mythology through NTR’s films, his favourite being the 1977 Telugu mythological, Daana Veera Soora Karna, in which his hero played the triple role of Karna, Krishna and Duryodhana, as also the 1951 fantasy, Patala Bhairavi. “I have grown up on his cinema, learnt reading and writing Telugu practicing his dialogues,” stated the actor. Also the actor is thrilled to have met his counterpart in real life, Chief Minister Chandrababu Naidu. In August, Rana had met the renowned politician to prep for NTR biopic and he has also expressed his gratitude towards him for having spared a few hours from his busy schedule to spend with him. He mentioned that their conversation revolved around his politics, the CM’s growth as a leader, historic incidents that he was a part of, which helped him understand the politician he was going to play on screen in NTR biopic. Rana has simultaneously been working with images and videos from the archives, going back to Naidu’s days as a student leader and his early days in politics to the beginning of the Telugu Desam Party. Here’s how Varun Dhawan got inspired to play a tailor in Sui Dhaaga – Made In India!